Calendar of oil and gas events Plus Upstream West Africa preview. 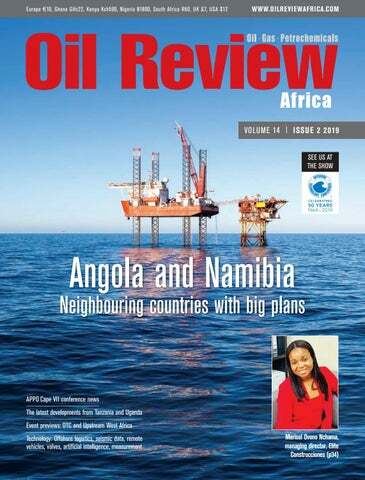 African oil and gas news Special focus on APPO Cape VII, held in Malabo, Equatorial Guinea. NOGOF report Local content and investment. OTC preview What to expect in Houston. Rig count Checking on the health of the industry. Tanzania LNG and economic growth. Uganda Plans for downstream development. Geophysical data Seismic for Somalia and Madascar. Software Big data and machine learning. Remote vehicles Accessing unexplored areas. Fabrication Pioneering work on FLNG projects. Valves The global ball valve market. Digital oilfield The role of digital twins. Corporate social responsibility A case study from Bureau Veritas. Offshore logistics A case study from Panalpina. Marisol Ovono Nchama Meet the managing director of Elite Construcciones, Equatorial Guinea. 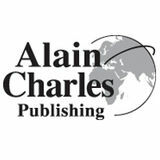 Readers should verify dates and location with sponsoring organisations, as this information is sometimes subject to change. Emerging market of Senegal the backdrop to upstream event SENEGAL, AN EXCITING new hotspot for African hydrocarbons development, will be the host nation for Upstream West Africa 2019. Held at Dakar’s Radisson Blu resort from 18-20 June, the organisers are looking to move away from the traditional trade show and exhibition format with a closed-door event allowing delegates excellent access to leading decision-makers in the West African upstream sector. Along with its neighbours, Senegal is part of a projected boom in this region of Africa, thanks to recovering oil prices, growth in the global gas market, ongoing licensing rounds, deepwater drilling, FLNG development and oil exploration with a view to going into production in new locations during 2019 and beyond. The Greater Tortue project will be transformative for West Africa. The Sipopo Congress Hall was the conference’s spectacular venue. about returned buoyancy to the world oil industry following measures taken by 24 OPEC and non-OPEC countries to limit production after the turbulence of 2013-2016. The Equatorial Guinea petroleum minister, Gabriel Mbaga Obiang Lima, said hydrocarbons development was vital for countries at the event. The minister described local content development as "the central spine of the industry" and urged for the "harmonising of legislation and national content policies in all our jurisdictions". President Teodoro Obiang Nguema Mbasogo said he hoped the conference would be a "turning point" for the industry across Africa. Infrastructure development is important for South Sudan’s economic growth. capacity of 500,000 bpd. A second pipeline would boost capacity and offer a more direct route to the export market. Infrastructure development is important, the minister said. The major investors in South Sudan are Chinese companies, such as Shendong High Speed, which is building roads as part of China’s Belt & Road project. The payment for this project is in crude oil which is purchased by a Chinese offtaker. Mr Gatkuoth vowed that production would increase, with short-term ambitions of producing up to 45,000 bpd. He said that while South Sudan is the only East African only East African oil-producing country, current production levels are not enough to meet domestic needs. Gabon focuses on new code and licensing AT APPO CAPE VII in Malabo, DGH, Gabon's hydrocarbons ministry, reminded delegates of the terms of the 12th licensing round, which was launched last year, as well as giving an update on the country's petroleum code. The Gabonese government has reviewed the code and it is now before parliament for ratification. A spokesperson for DGH said it is hoped that the new code is "more objective to the oil and gas industry". Bids for the 12th licensing round close on 30 September there are 35 blocks on offer for exploration, 12 conventional offshore and 23 deepwater offshore blocks. There are 2D and 3D seismic data available from DGH. Delegates were told that Gabon has good existing infrastructure including export terminals, five FPSOs and one refinery for the local market. Bidders will need to make a a technical offer and an economic and financial offer, with local content as a priority. Fiscal terms include zero corporation tax and reductions in the government take for shallow and deepwater concessions. For shallow blocks, royalties are down from 13 per cent to 7 per cent and down from 9 per cent to 5 per cent for deepwater. State profit has been reduce, down from 55 per cent to 45 per cent for shallow blocks, and down from 50 per cent to 40 per cent for deepwater. The cost recover limit is up from 65 per cent to 70 per cent for shallow blocks and from 70 per cent to 75 per cent for deepwater. State participation is down from 20 per cent to 10 per cent. The NOC can acquire a maximum of 15 per cent at market conditions. The minister with Dangote’s Engr Mansur Ahmed in Abuja. CGG CEO Sophie Zurquiyah is optimistic about the value of the latest data. Brulpadda, off the coast of Mossel Bay, demands responsible development. combusted compared to coal, said Ms Reuther. programme is the latest phase of several capacity-building initiatives in Ghana. The Petroleum Commissionled programme, set to run for five years, will train individuals in vocational and technical areas, as well as to build the capacity of educational institutions to be able to train students and award internationally recognised training certificates. “Aker Energy will support the Petroleum Commission to certify vocational and technical experts, preparing them for jobs in the industry. Under AOGC, we will also seek support from, and utilise, Ghanaian educational institutions to increase competency levels through training of local trainers’ programme,” said Jan Helge Skogen, manager of Aker, Ghana. Angola is looking towards a new era for offshore hydrocarbons. Engr Dozie Obi makes a strong case for responsible operations. The high-level panel discussions at NOGOF 2019 proved to be very insightful. opportunities that cover the upstream, midstream and downstream sectors of the Nigerian oil and gas sectors. It has been created to provide a database of Nigerian content opportunities to help indigenous and potential investors prepare, improve their capacities to participate in available and upcoming projects. He added that the compendium gives the industry a five-year outlook and will enable stakeholders to access opportunities. Many speakers pointed out that infrastructure development is a vital element of the oil and gas industry and it affects the extent to which the value chain in the sector can be properly harnessed. NOGOF 2019 showcased a plethora of opportunities for indigenous companies to operate in the oil and gas industry along the entire valuie chain, such as logistics, repair and maintenance, engineering, spare parts, servicing, and operations at oil service stations. The fair highlighted that local content can be developed by auditing the capacity of fabrication yards in Nigeria and, in turn, such content can be utilised through collaborative action of government and stakeholders, with action as well as decisive control of the upstream, downstream and midstream sectors. This commitment is required by all players to harness the potential of the value chain within the sector. NOGOF 2019 attracted more than 1,500 participants; delegates, exhibitors, speakers, and media. It was hosted by NCDMB and organised by Jake Riley. Sponsors includes NNPC, Samsung Heavy Industries Nigeria, Dangote Group, Marine Platforms Limited, Aiteo Eastern Exploration & Production Company Limited, Shell Petroleum Development Company, Nigeria Agip Oil Company, OES/ODENL Energy, UBA Group and Exxon Mobil.  The next Nigerian Oil and Gas Opportunity Fair is slated for 8-9 April, 2021. HE ESTABLISHED MARKET of Angola has a long history – it first drilled for oil in 1915 but it wasn’t until 1956 that the Benfica oilfield, near Luanda, went into production. Malongo, the country’s first offshore oilfield, located in the Cabinda province, was discovered in 1968 by Gulf Oil. The discovery of oil has been a double-edged sword for Angola, providing immense wealth for certain groups and companies, but not necessarily contributing to an overall economic boom with widereaching benefits. In 1996, Elf Petroleum discovered the Girassol oil field about 140km off the coast of Angola, which turned out to be a giant oilfield. This led to more discoveries of a similar nature and, as a result, around 75 per cent of Angola's production now comes from such reservoirs. LNG is also playing a major role in Angola’s hydrocarbons mix with the Soyo LNG plant commencing production in 2013. The first LNG shipment was to a Petrobras LNG deliquifacation plant in Rio de Janeiro, and four shipments from Angola have been delivered to Asian customers. The end of José Eduardo dos Santos’ government in 2017 after 38 years in officer – albeit not the end of MPLA rule of Angola – has heralded changes to the country’s oil and gas industry. President João Lourenço has been seeking to reform the Angola hydrocarbons sector. This has been part of wider drive by President João Lourenço to reform the Angolan economy and stamp out corruption. A new oil-licensing strategy has been put in place up to 2025.
substitution of reserves to replace the evident decline in production in recent years,” the new decree hence defines the country’s new general strategy for the attribution of its petroleum concessions up until 2025. Under the terms of the decree, petroleum concessions are to be awarded under three different modalities: public bidding, limited public bidding and direct negotiation. The public tender and bidding avenue follows the legally established procedure for the award of oil concessions under a competitive auction, as detailed in Presidential Decree 86/18. All Namibian industry eyes will be on Walvis Bay when drilling starts in earnest this year. reformist agenda that is drastically transforming the governance of sub-Saharan Africa’s second largest producer since the 2017 elections. In May 2018, Angola had already released three presidential decrees related to the governance and regulation of its oil and gas sector: Presidential Decree No. 5/18 establishing the framework for the exploration activities of the Development Areas; Presidential Decree No. 6/18 regulating the development of marginal fields; and Presidential Decree No. 7/18 regulating the prospection, research, evaluation, development, production and sale of natural gas. The clarity provided by the new oil licensing strategy, and its promulgation by Presdiential Decree are expected to provide sufficient incentives to raise interest of African, independent and international majors in exploring Angolan acreages. It will be coupled with the country’s first Marginal Fields Bidding Round, set to be launched at the Angola Oil & Gas Conference in Luanda on 4-6 June, 2019. The Rukwa region could provide Tanzania with lucrative helium development. Tractebel looking to the continent for energy industry opportunities to leverage their technologies. FOR UGANDA With a new refinery expected to commence operations in 2023 and plans afoot for expanded hydrocarbons storage, the downstream sector is becoming increasingly important to Uganda. Georgia Lewis reports. PROJECT FRAMEWORK Agreement (PFA) was signed last year for the development of a 60,000bpd refinery in Uganda, located in Kabaale, Hoima District.The agreement was signed between the Ugandan government, represented by the minister for energy and mineral development, Irene N. Muloni and the Uganda National Oil Company (UNOC). In this PFA, the parties agreed that Albertine Graben Refinery Consortium (AGRC) comprised of YAATRA, Saipem SpA, LionWorks Group and Baker Hughes General Electric (BHGE) would develop and propose a final refinery configuration that would provide the best technical and economic results for government approval. Last month, a Ugandan government team led by Ms Muloni spent two days meeting with the AGRC leadership in Milan to review the final refinery configuration presented by SAIPEM SpA. The minister informed the AGRC that the Ugandan government is happy with the final refinery configuration proposed. Speaking on behalf of the AGRC leadership, Rajakumari Jandhyala, CEO of YAATRA, said the consortium is “fully committed” to completing all commercially viable pre-FID activities on time in collaboration with the Ugandan government. Irene N. Muloni (centre-right) with Ado Oseragbaje, CEO BHGE Sub-Saharan Africa (centre) and. Rajakumari Jandhyala CEO YAATRA Africa, hosted by Maurizio Coratella, COO Saipem On-Shore Engineering and Construction (centre-left) in Milan. The next step is for the AGRC to look to the formal launch of the FEED process which is expected to be concluded at the end of 2019 and then take Final Investment Decision (FID) before construction commences. Following a successful FID, the refinery is expected to be completed by the end of 2023. As well as refinery development, UNOC is keen to expand storage capacity in the downstream sector. The 30mnlitre capacity Jinja Storage Terminal (JST) is operated by UNOC and the NOC has started a phased development of the 240mn-litre capacity Kampala Storage Terminal (KST), located in the north-west of the region. IN HOUSTON Offshore Technology Conference – or OTC – celebrates 50 years of serving the global oil and gas industry with a full programme for delegates, including the Spotlight on New Technology Award. HE 2019 EDITION of the Offshore Technology Conference (OTC) will be a landmark year for event organisers and delegates as it marks half a century of providing the global oil and gas industry with a forum for discussion, knowledgesharing, doing business and finding out about the latest innovations for offshore operators. This year, 18 technologies will receive the 2019 Spotlight on New Technology Award, which showcases the latest advances in hardware and software for the industry. The companies which will be honoured at the event will be AFGlobal (for two products); BHGE; Dril-Quip; FutureOn; HYTORC; NOV; Oceaneering International; Saipem; Schlumberger (for two products); Siemens (for two products); Stress Engineering Services; Technip-FMC; Green Pin, Weatherford; and XSEBS AS. Judges followed five criteria when selecting the winners – the technology has to be on the market for less than two years; original innovation; proven technology; broad interest across the industry; and provide signifiant impacts exceeding existing technologies. For a fifth year running, OTC will support and recognise the innovative technologies being developed by small businesses with the programme’s Spotlight on Small Business Award. Oil and gas industry leaders will descend on Houston for the 50th OTC. Panalpina completed an intensive port-to-port logistics operation between Malabo and Cabinda. ON SEISMIC Somalia and Madagascar are in the midst of exciting licensing rounds with great prospects, thanks largely to the revelations of extensive seismic data. Georgia Lewis reports. Significant quantities of seismic data from offshore Somalia have been acquired and processed. processing algorithms were applied to the raw data to achieve optimal imaging of steeplydipping extensional and compressional features and illumination of subtle amplitude anomalies. The Somalian round is due to close on 11 July, after additional roadshows in Houston and Dubai. Meanwhile, Madagascar announced their 2018-2019 licensing round during Africa Oil Week, held at the end of last year in Cape Town. There are 44 blocks in Morondava Basin, which are located on the western margin of the island nation. FOR AFRICAN OPERATORS In the era of big data, geoscientists at CGG are utilising machine and deep learning initiatives to help the industry make better decisions faster. Martin Clark reports. FRICA MAY WELL be an ideal testing ground for new geoscience technologies. Some of these new ideas were presented at an industry briefing in early April in London by industry experts CGG, as part of its digitialisation campaign and its so-called machine and deep learning initiatives. Science-fiction utopias aside, the company says it is expecting machines to do a lot more of the industry heavy lifting when it comes to sifting through data. While machine learning and ‘artificial intelligence’ have been around for decades, the advent of big data means there has been an acceleration in its uptake with a host of new techniques now widely available. CGG’s GeoSoftware experts have handpicked the most effective machine and deep learning technologies to put them at the oil and gas industry’s fingertips. These include PowerLog native Python extensions and HampsonRussell applications, featuring the latest neural network technologies, to enable scientists to gain deeper insight into any data. In challenging deepwater environments like West Africa, and now offshore southern and Eastern Africa too, as well as in the Mediterranean, this insight can make all the difference. Machine learning and effective software make it easy to analyse data from the office. Using ROV technology to great effect in a pioneering broadcast project. The technology is easily transferred to oil and gas. some of the world’s least explored areas of the ocean. In the offshore energy sector, the company is already well established in major markets in Africa. Sonardyne sold US$1.3mn worth of its 6G acoustic positioning technology to Seatronics, an Acteon company, experts in marine electronic equipment, to support the survey and construction phases of an offshore West African upstream field. The multi-functional Compatt 6 transponders and Ranger 2 USBL (Ultra-Short BaseLine) positioning systems were used for subsea operations including structure installation, pipeline metrology, ROV tracking and touchdown monitoring. As well as new field development projects, the company is playing a vital role in maintaining the integrity of existing offshore assets. Asset monitoring is increasingly critical to oil and gas companies’ ongoing safe and profitable operation of offshore infrastructure, which, in a growing number of cases, is operating for longer than it was originally designed for. Sonardyne’s portfolio of acoustic positioning, sonar imaging, data logging and wireless communications technologies serves the offshore industry across a range of applications, from leak detection, riser monitoring, reservoir surveillance and pipeline creep. OIL AND GAS INDUSTRY The growth of the artificial intelligence (AI) market across the oil and gas industry offers powerful possibilities for operational excellence. However, DNV GL is urging a cautious and responsible approach moving forward. Norway is aiming to be a leader in AI development for oil and gas. FLNG CONVERSIONS Some of the world’s biggest oil and gas developments are underway in Africa, meaning plenty of opportunity for the construction industry. Ingenuity will be vital in the latest crop of projects, which see the region push the limits in the FLNG space. Martin Clark reports. The Greater Tortue field, off the coastlines of Senegal and Mauritania, involves players as far afield as Singapore. The helium sector represents a sky-high opportunity for valve manufacturers. item number from their P&ID on the chip. This means that the chip and valve can be assigned multiple times. Also in the butterfly valve segment, AVA has expanded its warehouse with "Triple Eccentric Process Valves" and it now offers triple offset butterfly valves (TOBV) in the economic short face-to-face dimension. These valves offer a bidirectional zero leakage gas tightness according to "Leakage Rate A" of ISO 5208 and EN12266-1 standards. A Stellite 21 body seat overlay (HF) in combination with a Duplex & Graphite lamella ensures leakage free sealing under difficult conditions and higher cycles. As digitalisation takes over the oil and gas industry, digital twinning is widely discussed. But for a technology that is the talk of the industry, there is confusion about what it is. The definition of a digital twin depends on who you talk to. Alan Whooley, subsea manager, Wood, explains. Alan Whooley, subsea manager, Wood. FLOW METERS There are multiple parameters which can be used to help operators decide if flow meters need to be upgraded. Edward Simpson of RS Calibration, on behalf of Bell Flow Systems, explains how being aware of when to upgrade meters can improve operational efficiency. NY INSTRUMENT Keep in mind these factors before DETERIORATES over time – buying a new flow meter: it is a given that to extract the Model: There are various models most from it, regular inspection, available which fulfil different instrument calibration or an upgrade applications and purposes. A simple is mandatory to ensure that the profiling of material which is to be instrument, such as a flow meter, measured can help you understand keeps on delivering its best. To the material’s behaviour when ensure that such critical equipment flowing through a pipe. This can help consistently delivers its best, it is you narrow down on the model of the important to know the indicators to meter. If you are unsure how to follow help determine whether it is time for this procedure, use a professional. an upgrade or a new purchase. These Objective: The type of liquid or parameters can help you decide gas to be measured, the turndown whether it is the right time to ratio, required temperatures and upgrade your flow meter or not: whether it will be operated manually 6 If there is a new development or or automatically are some of the Using the right flow meters ensures accurate parameters which can help you zero extension in the current measurement and operational efficiency. down on the objective of buying the operations within the business, or flow meter. even a small change in the layout Material Compatibility: It is extremely important to take into account of the existing arrangement of the equipment. 6 Introduction of new piping networks which can alter the fluid the materials which are to be measured with the help of the flow meter. dynamics and various compositions of the fluid contents are some of The model you choose should be compatible with the materials it is the factors which can affect the monitoring equipment. supposed to measure. Check each material individually against a reputable 6 Any alterations in the computer systems of your business can give chemical compatibility table. Also check your choice of the model with rise to the possibility of the obsolete technologies and control the manufacturer of the fluid to avoid any compatibility issues or problems. systems becoming vulnerable to it. The flow control equipment is the Cost: A cheaper device may be tempting, but it can cost you more in nervous system of an operation and can be affected in such situations. the long run. Consider the quality, durability and performance. If it 6 Historic records help identify patterns in the maintenance of the meets your requirements perfectly, even a slightly expensive flow meter equipment, recurring problems, frequency of services etc. This data will be cost-effective in the long term. can be used to accurately gauge the need for an upgrade. Fitting: Consider the fitting or the installation of the flow meter. 6 Real-time data is equally important and is utilised to keep a check on Keep in mind the exact location of where it is to be installed as this the accuracy levels of the flow control equipment and helps decide parameter can highly affect the device’s efficiency and accuracy. Is it the correct time for an upgrade in this system. likely to be affected by any obstructions in the pipelines such as bends, 6 If the flow meter system requires expensive maintenance frequently valves or joints? These aspects can hinder the flow of the materials to be or its parts are becoming increasingly costly or you need to spend a lot measured hence consider them before making the purchase. of money to hire a technical specialist, it is time to upgrade the system. Choose a flow meter which suits the needs of your business. Keep in 6 Partial upgrades are also cost-effective and easy to implement. A mind that the flow meter should be upgraded and calibrated as required trained engineer should be hired to implement any type of partial or at the right time for optimal outcome.  full upgrades in the flow control system to ensure that there are no glitches in the system. Similarly, for flow meter calibration, it’s This is an abridged version of an article from www.bellflowsystems.co.uk advisable to hire calibration experts of an accredited calibration lab. reprinted with kind permission. The Ithemba Trust, a women’s empowerment body, with Bureau Veritas Southern Africa, celebrated their inaugural International Women’s Day at Ntsikana Primary School in Gauteng. The trust was launched in June 2018 and works with girls and young women in South Africa. It was an inspiring first-ever International Women’s Day celebration for the Ithemba Trust and Bureau Veritas. Downhole progressing cavity pump prevents blowout A GERMAN ENERGY supplier had initially used a geological horizon for gas storage, but then decided to extract crude oil from the same deposit. Therefore, a suitable extraction system had to be acquired for transporting the multi-phase mixture with a high gas content to the surface from 1,200 m below, while eliminating the twin risks of blowouts and leaks above the ground. Additionally, the solution had to be economically viable, with a detailed production and profitability analysis taking place to facilitate the purchase decision. This showed that a conversion from gas to oil production for this bed would make the most financial sense. Due to the extreme conditions at the site, a special pump technology was required. It was concluded that centrifugal pumps with submersible drive were not suitable due to the high risk of failure from gas lock, while the progressing cavity pumps with above-ground drive – as commonly used in Central Europe – posed the risk of a blowout on the surface. NETZSCH Pumpen & Systeme GmbH offered a progressing cavity pump system with submersible drive which prevents these problems. As all moving parts are positioned deep down in the well, there risk of environmental impact from leaks at the surface is eliminated. The progressing cavity pumps, which are normally used in Central Europe until now, have been systems with above-ground drive. The pump stops leaks above ground and prevents blowouts. WALES AND WEST UTILITIES (WWU) wanted to observe different gas detection technologies in action and understand how they could deliver the best new technology to support existing methods and conducted a trial. This involved three technologies from Crowcon: Optical gas imaging camera technology which gives a visual representation of the leakage point; laser detection which uses laser technology to detect methane concentration from a distance; and infrared technology to detect leaks and potentially reduce bar holing. detection requirements. Its main strengths were: the ability to be used within any current leakage survey or inspection being carried out; the ability to be used on MOB Surveys and special crossing surveys (due to its ability to improve safety by detecting a leak from a safe distance); technology that quickly detected and quantified gas leaks in real time and at a distance; and the fact that it could be used as a tool to confirm leakage with incumbent devices being used to quantify leakage with stable readings. Laser-guided technology was the most effective. Expiry date: (Please note that we will debit your account in sterling). Marisol Ovono Nchama is determined to grow her business across borders from its base in Equatorial Guinea. about how the company survived and thrived during the downturn, despite many oil and gas companies cutting costs and seeking the cheapest deals wherever possible.